Before the advent of roller blinds, there is not a lot of alternative for window cover in hospitals but curtains. Over the last decade, more and more hospitals are now using roller blinds instead of curtains and for good reasons. First of all, curtains demand maintenance. Weekly or even twice a week, admin maintenance and janitors need these curtains cleaned and sent to laundry because dust settles and accumulates to its fabric overtime. And since we are dealing with immune system compromised patients and individuals in hospitals, the admin should be more diligent in washing the curtains regularly. 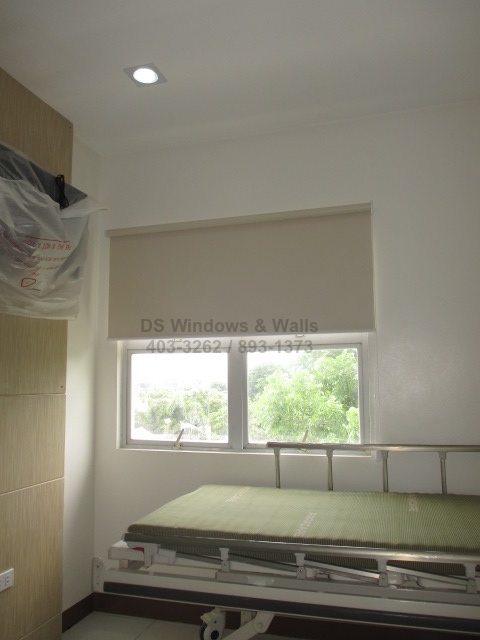 This maybe the very reason why more and more hospitals opt for roller blinds and shades. Not just any roller blinds though as most hospital choose the Pavillion Blackout Fabric for a more maintenance-friendly fabric. So what’s so special about this blackout fabric is that it is made up of Plasticized PVC and Fiberglass which makes it water and dirt resistant. As you may also guess, this fabric only requires wiping it with a damp cloth to easily remove the dirt and dust from it. 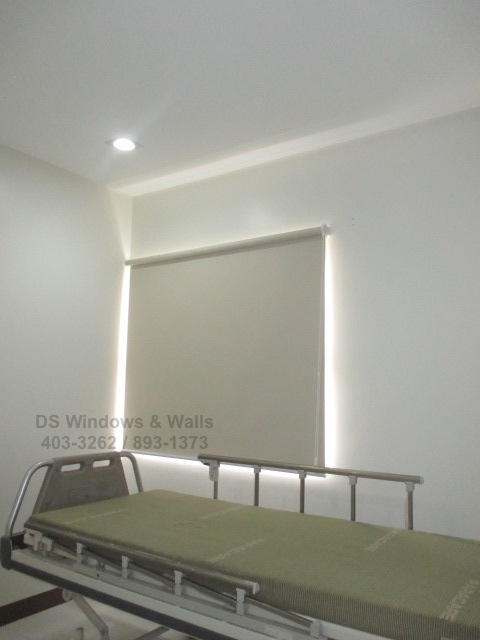 Another advantage of this type of blinds is that it is straight forward to use for the patients and its families. 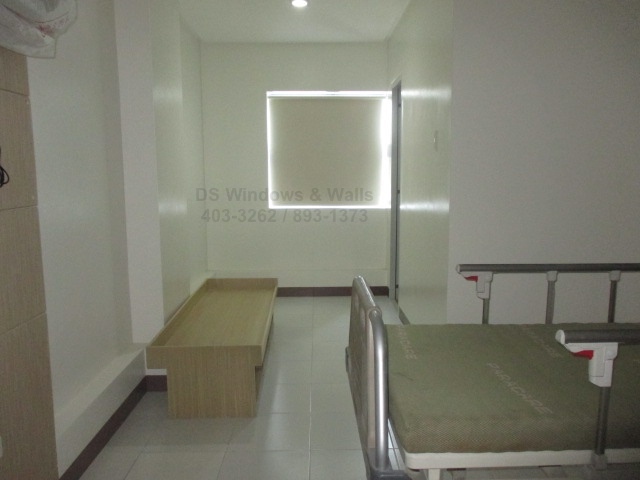 Not only that it totally blocks the sunlight but its material also suppress some sounds coming from the outside because of the nature of its materials — giving the patient his/her much needed rest and privacy to help speed up recovery. From this we can deduce that using blackout roller blinds in hospitals cut the maintenance expenses significantly since it doesn’t require pulling it out from the window (that you need to do for curtains) and saving time and money on laundry. It is practical and wise investment for hospitals and similar industries. For this particular client, the hospital management chose 833 Champagne color that is a little bit off-white in color to give some contrast to the already white colored walls but still clean and refreshing to look at. Over the years, our company has been a partner to several hospitals for providing quality roller blinds fabrics and installation services and has excellent track record. For more information call us at (02) 403-3262 or (02) 893-1373 or (02) 668-9668. You may also visit our stores in the malls to check out our fabric selections.